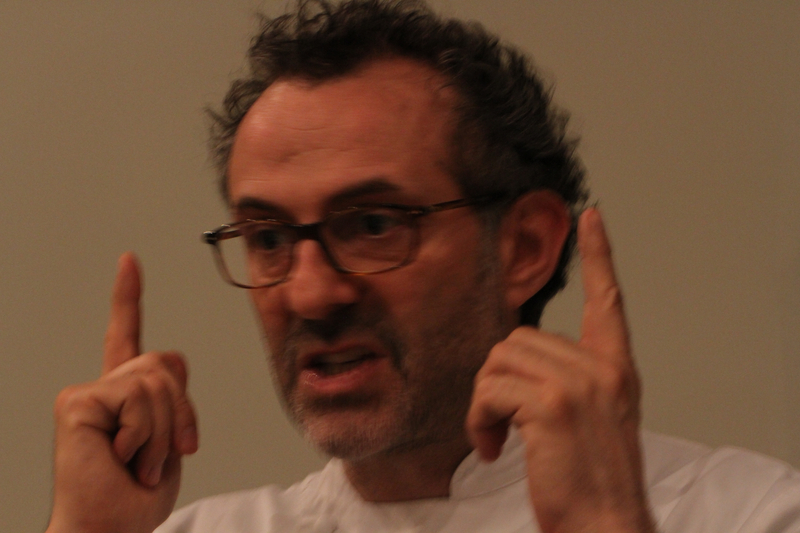 There are chefs and there are chefs: Massimo Bottura is a chef extraordinaire. Situated in Modena he prepares dishes that are between magic and fantasy. His career is elevated from the ranks of working in kitchens to owning and operating a Michelin three star. There are few Italian chefs that demand the balance of tradition and modernity. A meal at Osteria Francescana might begin with a simple plate of Culatello before segueing easily into more complex plates from the region Emilia-Romagna. He appreciates the deconstruction as a recurring theme, but the restaurant layers itself with the chef’s familiarity and this compliments his cuisine and personality, a perfect match.